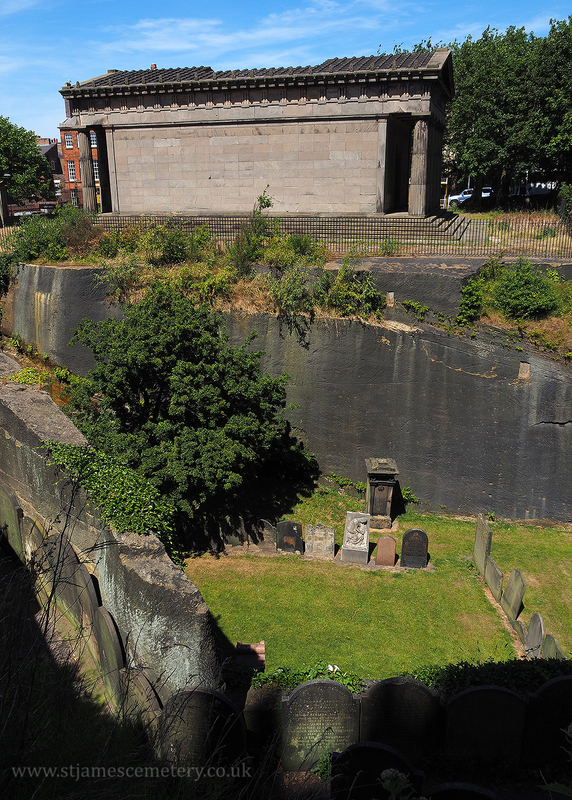 The southern side of the oratory is viewed from the higher ground above the pedestrian tunnel which leads down into the cemetery. The pathway leading to the tunnel is lined with gravestones, and the lower part of the cemetery between the pathway and oratory shows some gravestones and memorials at the foot of the steep wall. Ivy and other green foliage is growing over the tops of the walls.